Whether you were injured by another citizen on a bike, motorcycle, or driving a car, our Monterey personal injury attorneys have a firm understanding of the legal pathways which can be used to secure compensation. This compensation can cover your medical expenses and address any pain and suffering your injury may have caused. We are compassionate professionals and truly believe in the work we do. Because the Allen Law Firm takes cases on contingency, you will never have to pay us unless we are able to get you compensation. For this reason and more, we are invested in securing the results you need. You can count on us to work diligently and to explore every possible option for securing your claim. If you have any questions, call the Allen Law Firm at (831) 901-3901 or contact us online to learn more. Pedestrian injuries and fatalities related to automobile accidents remain a very serious issue in the United States. Hiring an experienced Monterey personal injury attorney is the only way a pedestrian can legitimately seek to be compensated for a serious or catastrophic injury. If you or someone you know has suffered, do not hesitate to reach out to the Allen Law Firm. Pedestrian fatalities correspond with 11 percent of all automobile-related fatalities. Over 180,000 pedestrians have been killed by automobiles between 1975 and 2005. Following occupant deaths, pedestrian deaths are the second most common fatality related to automobiles. In the United States, a pedestrian is injured approximately every 8 minutes. Every 111 minutes, in the United States, a pedestrian is killed. When you are hurt and forced to take time off work to recover, it is important you have the funds to cover your expenses. However, with the added burden of emotional and physical pain, as well as the high costs of medical and rehabilitation care, this may seem impossible. 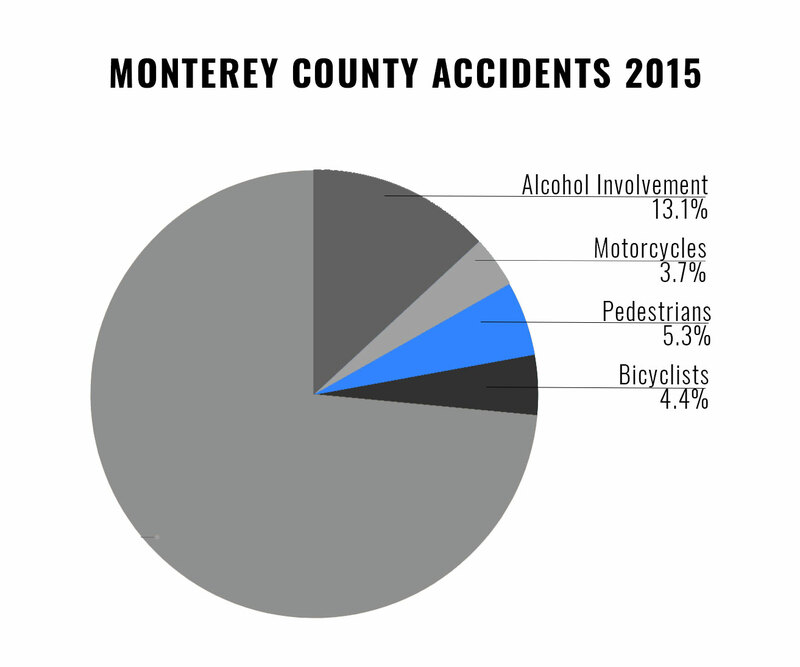 In these cases, let our Monterey personal injury attorneys help you. Call the Allen Law Firm at (831) 901-3901 to schedule your free initial consultation today. Should I See a Doctor After an Accident Even if I Feel Fine?